Albany, NY - February 21, 2014 - The 2013 New York hunting season had the lowest number of hunting related shooting incidents on record, New York State Department of Environmental Conservation (DEC) Commissioner Joe Martens announced today. The tradition of hunting in New York continues to be safely enjoyed by our sportsmen and women who venture afield. "Governor Cuomo recognizes all the benefits the sporting community brings to New York's economy and commends sportsmen and women for setting a record in hunting safety," said Commissioner Martens. "Sportsman education is an essential background to have in the field and teaches future sportsmen and sportswomen how to be safe, responsible and ethical hunters and trappers. Under New York's Open for Fishing and Hunting, our Fish and Wildlife Programs are being enhanced and our hunting and fishing licenses are streamlined to ensure increased opportunities for recreational in this state." New York's hunting incident rate (incidents per 100,000 hunters) has fallen by more than 70 percent since the 1960s. The past five-year average is down to 4.3 incidents per 100,000 hunters, compared to 19 per 100,000 in the 1960s. Down from 24 in 2012, a total of 19 hunting accidents occurred in 2013, including unfortunately two fatalities. Fourteen of this year's accidents where self inflicted. Investigations of all accidents are completed by trained Environmental Conservation Officers. The findings of these investigations are used to improve New York's Hunter Education Course to ensure that the most common causes of accidents are addressed and emphasized during instruction. These declining statistics prove that New York has a safety-conscious generation of hunters, in great thanks to the committed efforts of more than 2,500 volunteer Sportsman Education Instructors. These trained instructors, who are certified by DEC, teach safe, responsible and ethical outdoor practices and the important role of hunters and trappers in conservation. All courses are offered free of charge. Governor Cuomo's NY Open for Fishing and Hunting Initiative is an effort to improve recreational activities for in-state and out-of-state sportsmen and sportswomen and to boost tourism opportunities throughout the state. This initiative includes the streamlining of Fishing and Hunting licensing and reducing license fees, improved access for fishing at various sites across the state, and increasing hunting opportunities in various regions. In support of this initiative, Governor Cuomo this year has proposed the creation of 50 new land access projects, which will connect hunters, anglers, bird watchers and others who enjoy the outdoors to more than 380,000 acres of existing state and easement lands that have gone untapped until now. These 50 new access projects include building new boat launches, installing new hunting blinds and building new trails and parking areas. In addition, the Governor's budget includes $4 million to repair the state's fish hatcheries. For more information, including the 2013 Hunting Safety Statistics, visit the Sportsman Education Program on DEC's web page. 2013 Oktoberfest Has Begun on Long Island! 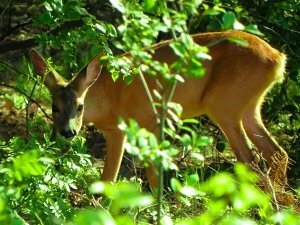 Subject: LongIsland.com - Your Name sent you Article details of "2013 Continues Record Trend for Safe Hunting in New York"